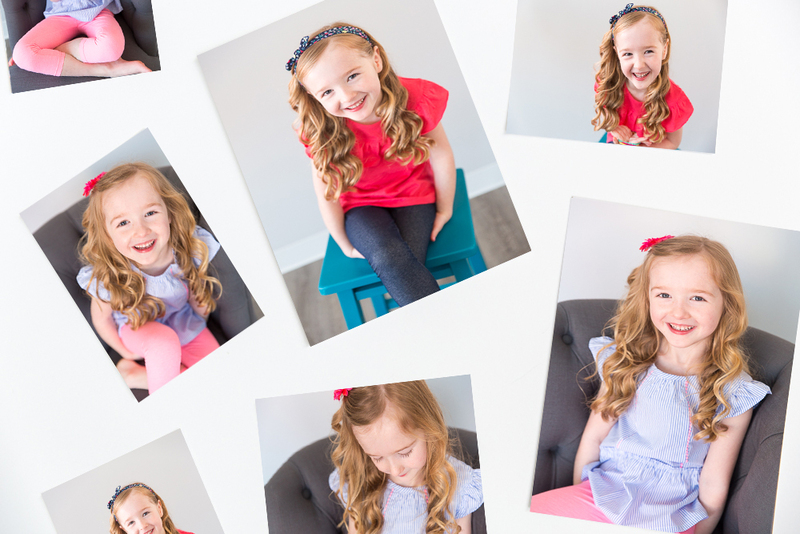 You had an amazing time at your portrait session and by now you have already seen at least a sneak peek…or two and you can’t wait to see all of the images from your session! What’s next? About two weeks after your session once your images are ready you and your entire family are invited to join us at the studio for your Reveal and Ordering Session. We will start out sharing all of the moments we captured through a beautiful slideshow and this is the point where moms (and me!) usually get a little teary eyed. It’s okay, I have tissues just in case! From there we journey over to the reveal wall where you are able to see and hold matted print proofs of all of your portraits. Having these prints allows you to pick up and see your favorites all while comparing them once side by side. Once you have selected your favorites I will assist you in picking out the best prints and products for your family depending on your needs and your budget. For family portraits sessions I offer a variety of different collections that include everything from a variety of gift size prints, framed prints as well as options for digital and print collections. Most of my clients opt to create their own custom collection from our a la carte options since each family is so different. Most commonly my family portrait clients invest in a combination of Signature Heirloom Albums and Books, framed gallery wall art and gift prints for their families. I know the idea of viewing and ordering all of your favorites in one sitting may sound a bit overwhelming but if you put your trust in me I promise I will make the process not only easy but a lot of fun as well! With all of my clients we start off your session with a focus on what is most important to you so by this time I already know exactly what you love and how we can turn that into something you will enjoy every day! Check out some of our most popular products for Families! Our Signature Heirloom Albums are handcrafted and beautifully simple from start to finish. These top of the line albums boast an luxurious, heirloom quality finish with a standard archival value of 100 years in home display and 200 years in dark storage. This means that these priceless memories will still be just as beautiful today as they will when your grandchildren carefully turn each page many years from now to relive each moment. Our clients love albums because you never have to narrow down all of your favorites because they can all fit in an album! Want to learn more about the different options and features? Take a look at this Signature Heirloom Album post on our blog! Many clients love the idea of creating a gallery art wall within their home with all of their favorites from the session. Our collections come in groupings as small as three framed prints and up to nine or more. 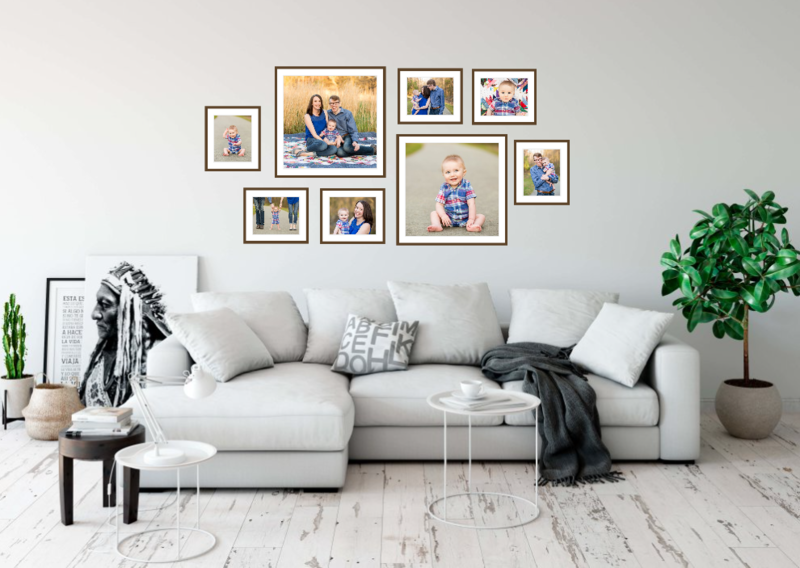 Gallery walls give you the opportunity to feature your favorite portraits of the whole family, individuals of each of the kids and even a sweet couples portrait of Mom and Dad! 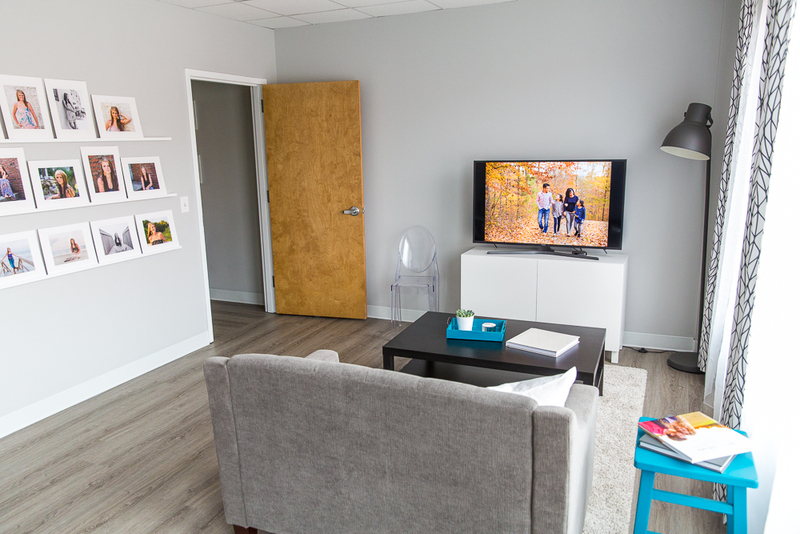 Using our custom software program we can place a gallery collection on any wall in your home to scale with your favorites images on display! If you have a particular place in your home that you would love to personalize with a wall art gallery please take measurements and a quick photo to share during our appointment. Want to see some examples of layouts our clients love? Check out this Wall Art Gallery Inspiration Guide.